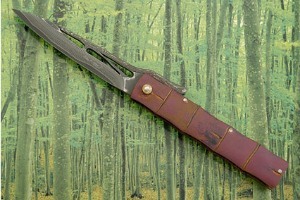 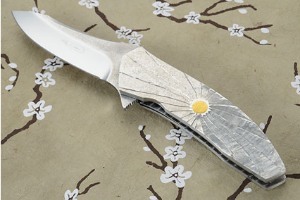 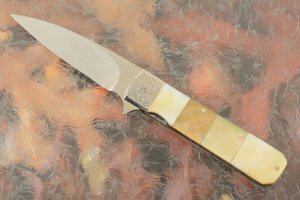 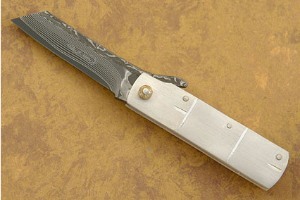 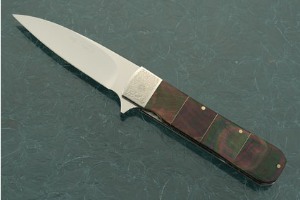 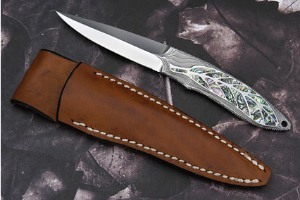 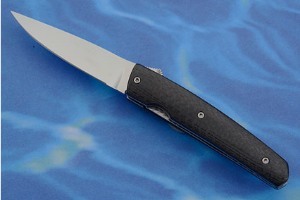 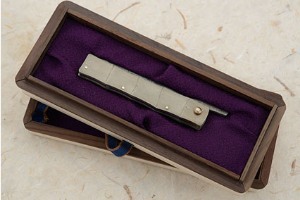 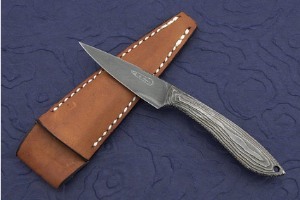 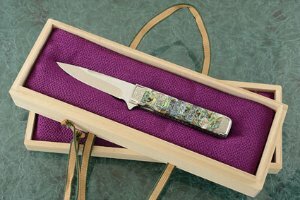 Koji Hara began making hunting knives in the style of Bob Loveless for the Gsakai company in 1988, where he worked for 7 years. 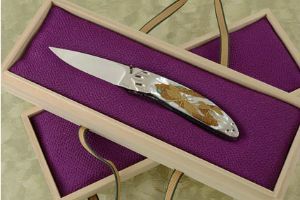 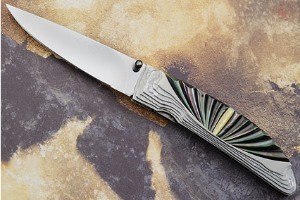 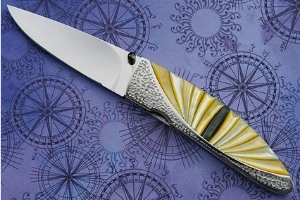 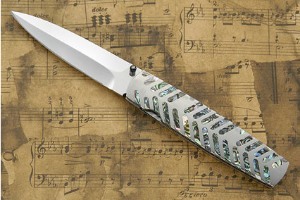 After leaving Gsakai in 1995 he proceeded to make custom folders in entirely his own style. 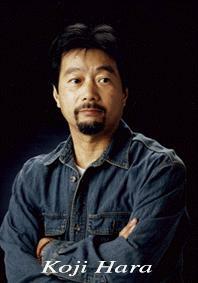 He is well known for his distinctive "air step" technique, which he developed in 1997. 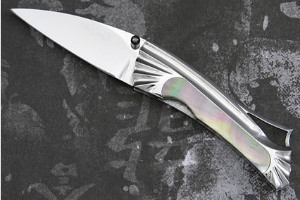 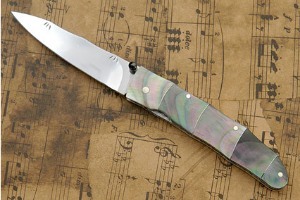 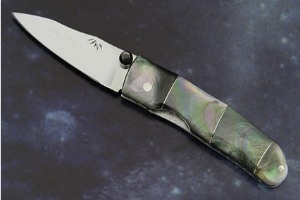 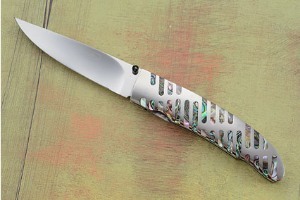 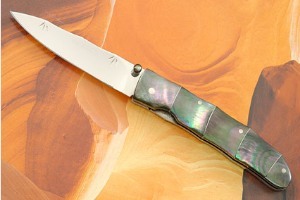 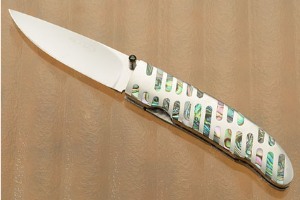 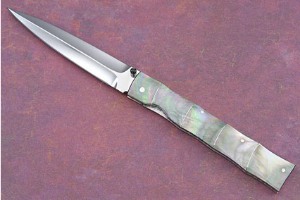 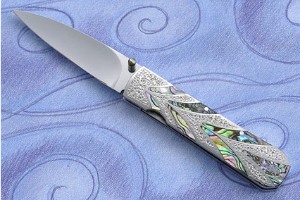 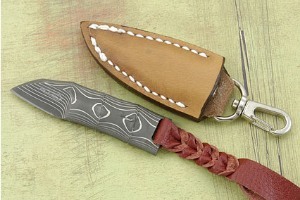 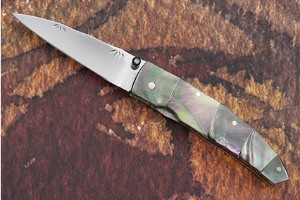 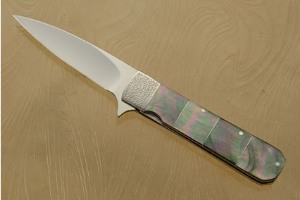 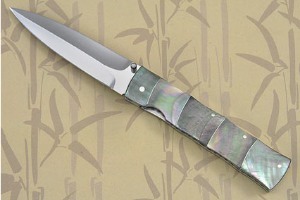 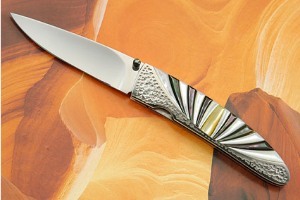 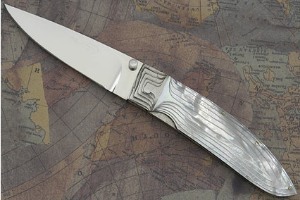 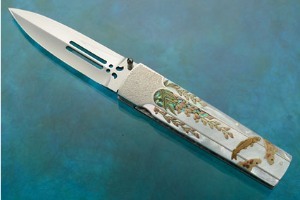 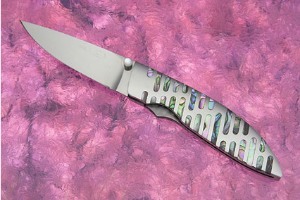 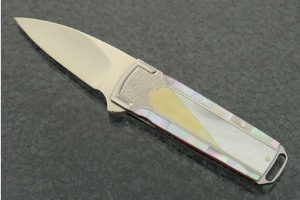 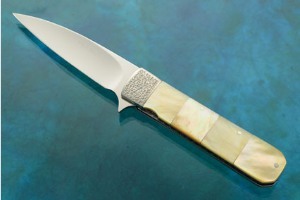 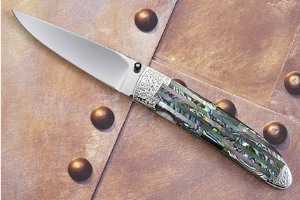 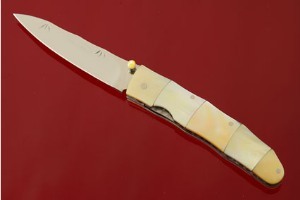 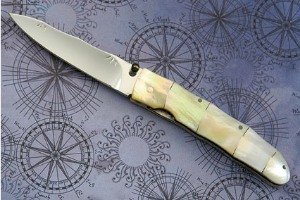 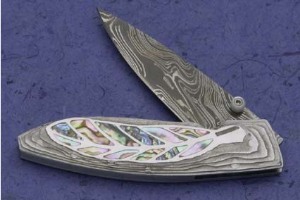 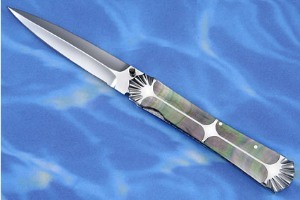 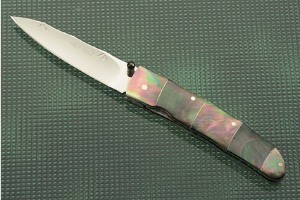 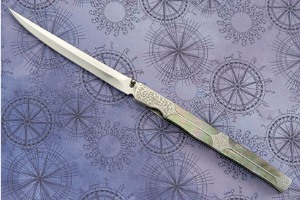 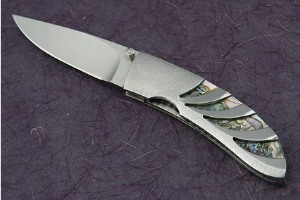 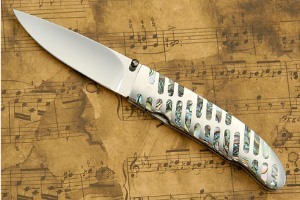 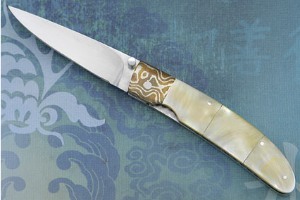 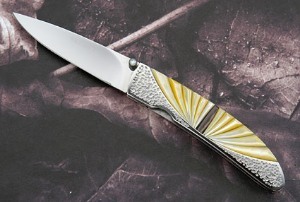 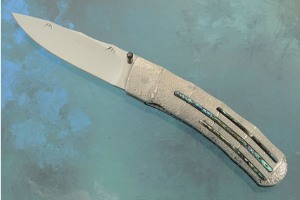 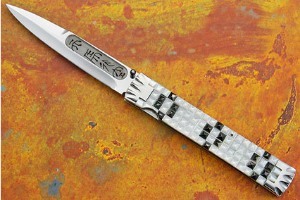 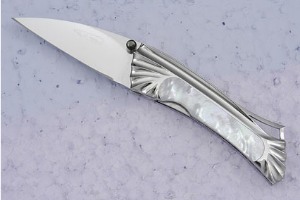 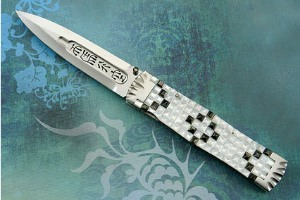 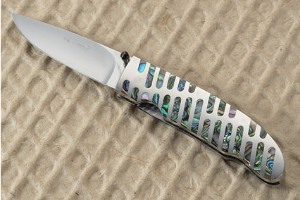 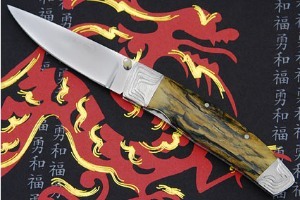 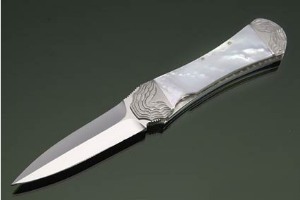 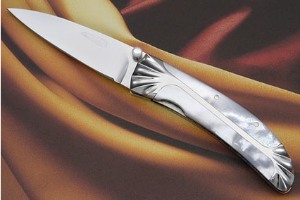 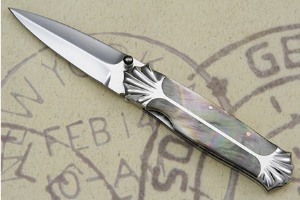 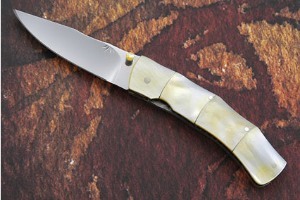 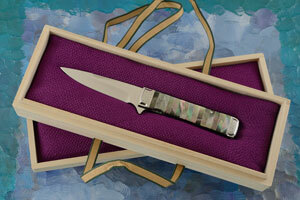 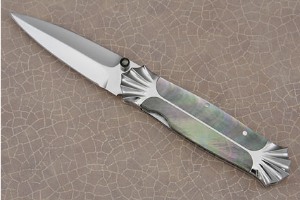 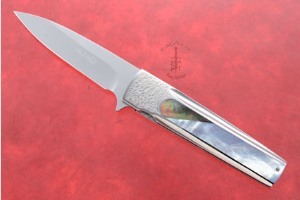 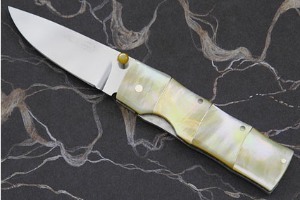 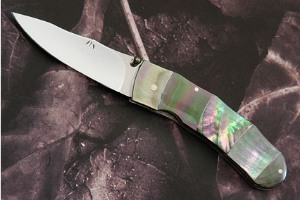 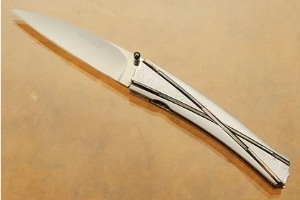 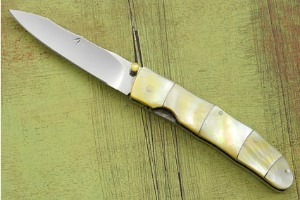 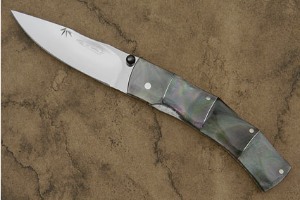 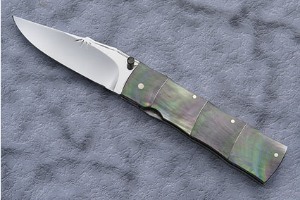 He enjoys using abalone and pearl in his knives. 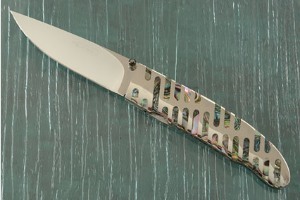 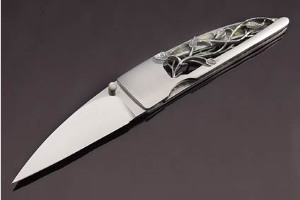 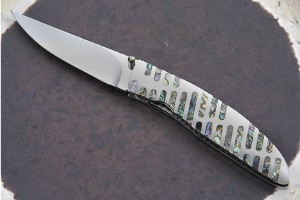 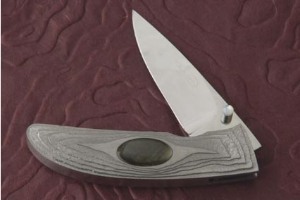 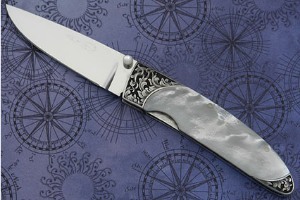 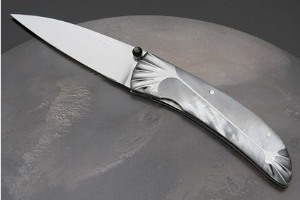 In making blades, he most often uses a steel called Cowry-Y, a powdered stainless steel made by Daido Steel which holds an excellent cutting edge and polishes to a high mirror finish. 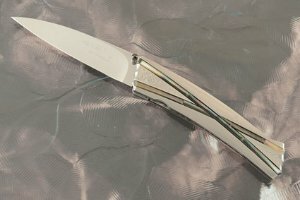 0.09765625 0.078125 97.65625 78.125 Header Started. 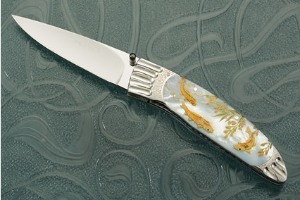 0.625 0 625 0 About to display products. 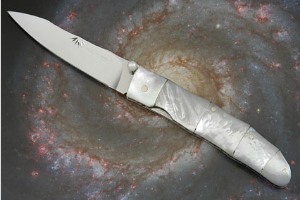 0.97265625 0.34765625 972.65625 347.65625 Products Display completed. 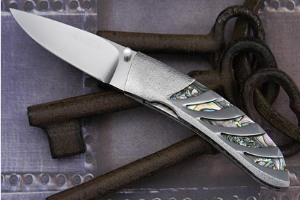 0.98828125 0.015625 988.28125 15.625 Trailer Started. 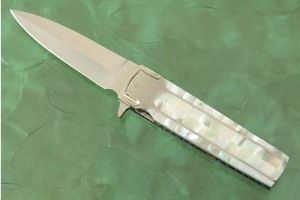 1.25 0.26171875 1250 261.71875 Trailer Completed.